This camera delivers complete situational awareness. 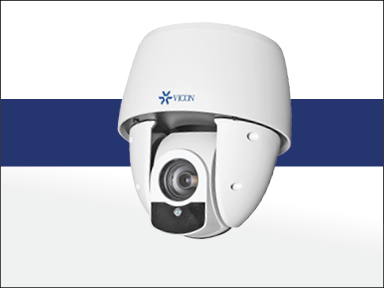 Vicon Industries, Inc. (VII: NYSE-MKT) (“Vicon”), designer and manufacturer of video surveillance and access control software, hardware and components, has introduced the new Cruiser SN673V-C outdoor PTZ dome, which combines a 1080p day/night H.265 camera with 23X optical zoom. Featuring 360o continuous rotation and full -5o to 90 o tilt range, this powerful dome can provide coverage in all directions with superb image quality and sensitivity and offers several enhancements over earlier models. This latest Cruiser model offers synchronized IR illuminators that support distances of up to 196 feet. In-camera video content analysis can alert system operators to camera tampering, video motion and intrusion detection. Quad streaming capabilities include H.265 compression technology, drastically reducing file sizes and bandwidth. The Cruiser SN673V-C features an impact-resistant lower dome with an IK10 rating and is secured by tamperproof screws, providing anti-vandal security. Several mounting accessories accommodate a full range of mounting options. The camera accommodates 256 programmable presets and 8 tours, and provides four alarm inputs and one alarm output. High-end features include video analytics, privacy masking, image flip, defog and 2-way audio. See Vicon’s newest cameras on display at ISC West, booth 10077. Learn more now on Vicon's website: http://www.vicon-security.com/products/network-cameras/. Models are in stock and ready to ship.